PredictiveDate is a new app for iOS that gives any sized company complete access to artificial intelligence without the need to hire a high priced, Harvard educated whizz kid. To quote the app's advertising blurb: 'Its easy to create fast, high-performance machine learning models and predictions. It works by using your data, applying cutting-edge automated machine learning, and then creates useful predictions.' So, I hear you saying, what does that all mean? UpKeep is the leading mobile-first CMMS/Enterprise Asset Management System helping maintenance teams deliver reliability for your facility. We have been named the #1 Maintenance Management Software by Gartner and have also been recognized as a top place to work in Los Angeles. We have over 160,000 registered users from small businesses to large enterprises including Yamaha, Jet.com, Unilever, and Constellation Brands. Our vision is is to create the best user experience for managers to communicate with technicians in the field and for technicians to respond to urgent issues without having to shuffle through paperwork or return to the office. We make completing work orders easy, intuitive, and mobile-first so everyone can contribute and stay on the same page. We've raised a total of $13 million by Y Combinator, Battery Ventures, Bain Capital, and Emergence Capital. For years, people have been using helium gas to change the way their voice sounds to amuse friends, family and even audiences. It's hard not to laugh when you hear that squeaky voice coming out of someone whose voice you know pretty well. As amusing as it is, however, inhaling helium isn't particularly good for you. When you inhale helium you're not getting the oxygen you need for normal respiration and breathing it continuously can cause asphyxiation within a few minutes. These days there are much safer ways of achieving similar results. I guess it was Tiger Electronics who introduced the first commercially available 'voice changing' technology - the Talkboy - in the early 90's. It was originally conceived as a non-working prop in John Hughes' second Home Alone film but it went down so well that the developers took it up a notch and marketed a fully working model for the 1992 Christmas shopping season. The original model featured a battery powered handheld cassette player / recorder with an integrated monophonic speaker and a microphone. As you can imagine, it went down a storm and proved to be a huge seller that year. Granny Invader AR is a new and very colorful space-shooter game for iOS that sees bad grannies - all with different abilities - attempting to invade the world that we live in over 25+ stages. These aren't just regular nice grannies with cakes though. These are the type of bad grannies who used to kick me under the table. Rather than kicking, however, they have taken advantage of the new augmented reality technology and proceed to shoot explosive fireballs at us to try and wipe us out and invade our world - with nary a cupcake or a cookie to be seen anywhere. 50% lifetime discount for early users on Feedmyapp. Coupon: 'FeedMyApp' Angel Match is a database of 50k+ Angels and VCs to help you raise capital for your startup. Searching for investors who are the right fit for your business is an exhausting and challenging process. Manually gathering data by going through every investor's profile on LinkedIn, Crunchbase, Twitter, Personal Websites, AngelList, and email-finding tools is the last thing every founder has time for. We’ve compiled 50k+ angels and venture capitalists in one place, categorizing them by their names, locations, investments interests, past investments, and companies they are associated with. 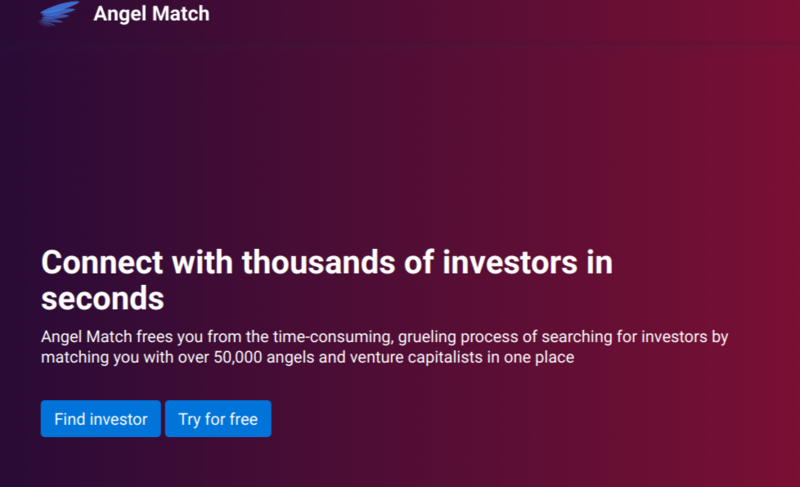 Angel Match provides investor contact tags such as Twitter, LinkedIn, Facebook and AngelList along with the links of companies they are associated with. Currently out of 50k+ investors, 43k+ of them have emails. Personal experience of raising capital: About a year ago, I went through the process of raising capital myself for our Fintech startup called Richie (https://richieinvest.com) and unfortunately we had no one in our personal network who could refer us to investors. So we tried cold-emailing and as a result we managed to set up phone calls with some of the most elite venture partners from FF Ventures, Light Speed Venture Partners, Cherubic Ventures, and the co-founder of a multibillion dollar startup Wish.com. Problems we faced searching for the right investors: Since we weren’t able to find any decent tools that could help us find investors, we’ve searched and built our investor list ourselves using an excel spreadsheet. Jokes aside, it was not fun at all. In 3 weeks of hard work, we gathered the data of ~600 investors with their names, location and emails. That’s when we understood that there must be so many founders who face the same challenge as we did looking for investors. Investor database' product we’ve built previously: In June 2018, along with other 3 people, I co-founded Investor Hunt: a database of 40k investors to raise your seed round (turned into 3-4k MRR business). I worked on the marketing side of the product and I spoke with over 1000 founders and C-level executives of startups in various sectors. By listening to their concerns, feedback, and problems, I found that there were some major flaws that Investor Hunt had. I’ve decided to build Angel Match from the ground up with my tech partner Daria Ree, creating a more sophisticated data searching tool and a reworked and improved algorithm. As a result, we have much richer datasets, more investors, more sources to verify the accuracy of information of investors, and better data updating tools. 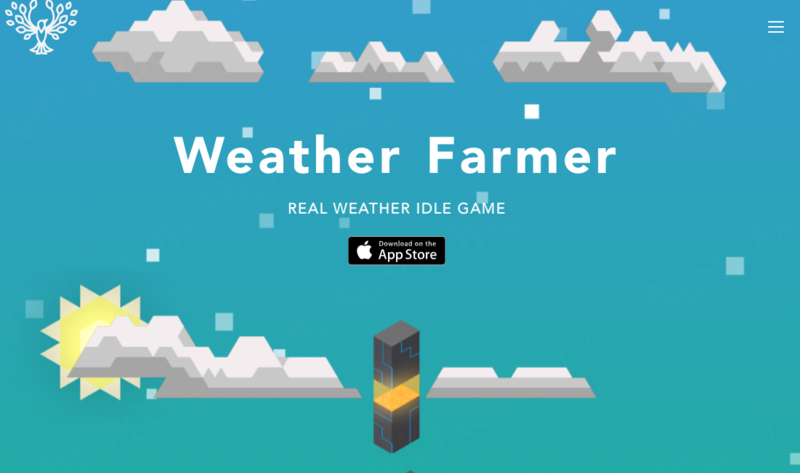 Weather Farmer is a simple and non-obtrusive idle game that uses your real weather to power itself. Lock in your location and watch as the game responds to day and night cycles, moon phases, rain, fog and other phenomena — Pop-Open the weather panel to check the weekly forecast, just like any other weather app. The goal is simple, get as much energy as possible, and then use that energy to expand your operation. As you do, your planet will start to green-up. Vegetation like trees, grass, and mushrooms will begin to sprout as you progress with your efforts! Your journey starts by tapping for energy. Once you accumulate enough tapping potential, you can buy weather cubes which are modelled after renewable energy sources. Choose from solar, wind, biofuels, hydroelectric and geothermal cubes. As your forecast updates, so does the energy output of your cubes. Deploy different ones for maximum efficiency! As you progress, more upgrades become available to you. From simple energy efficient light bulbs to Bio-recyclers and chaos normalizers, things escalate pretty quickly. Don't worry; you're not on this crazy journey alone. Your "trusty" artificial intelligence companions are there to help you along the way. From idle chatter to random events, these bots will try their best to boost your energy producing efforts. Random deliveries and tasks help keep the pace, and each one comes with its own rewards and surprises. Weather Farmer is a relaxing, fun but unique idle experience. When has checking the weather ever been this fun? So, it's hardly surprising that the vehicle inspection business would be ready for a digital overhaul itself. 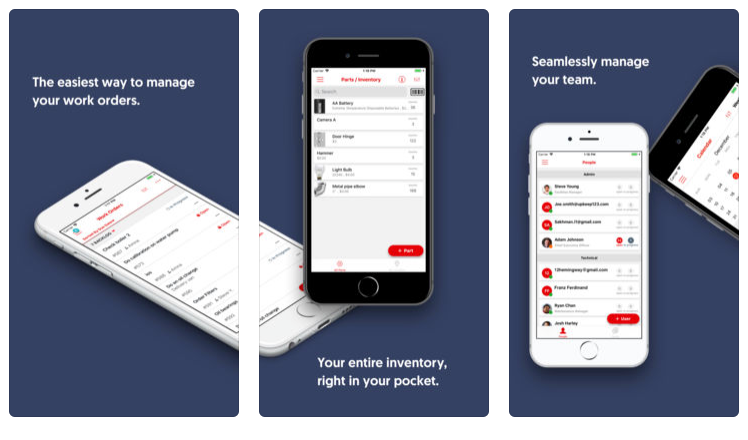 The Driveroo digital vehicle inspection app is a new app for iOS and Android that simplifies the whole business of vehicle upkeep for drivers and motor technicians. It analyzes millions of data points and known issues with your specific make of car or truck - or fleet, if it comes to that - and directs your technician to any known potential issues and safety recalls. 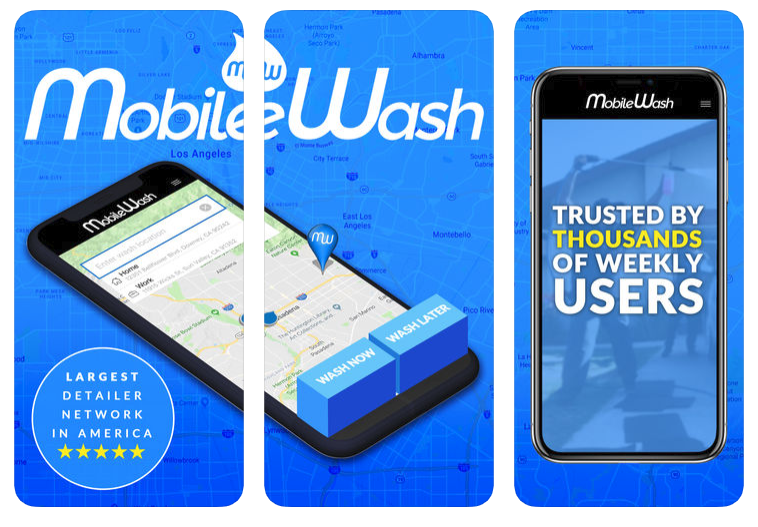 This clever app connects drivers to a network of local, ASE certified technicians who are ready to take instant care of your car. Driveroos AI-driven inspections are make and model specific, so your car receives the most comprehensive inspection available in the market. Creativity happens when you least expect it, so make sure you’ve always got the best stock photos available, whenever you need them, by installing the Dreamstime app. With the Dreamstime app, amazing royalty-free images are just a tap away! Create on-the-go with… · Advanced search & zoom-in of over 94 million professional photos and illustrations · Save images to your favorites to download now or later and share images with ease. · Super quick account set-up and effortlessly intuitive navigation makes finding stock photos easy. 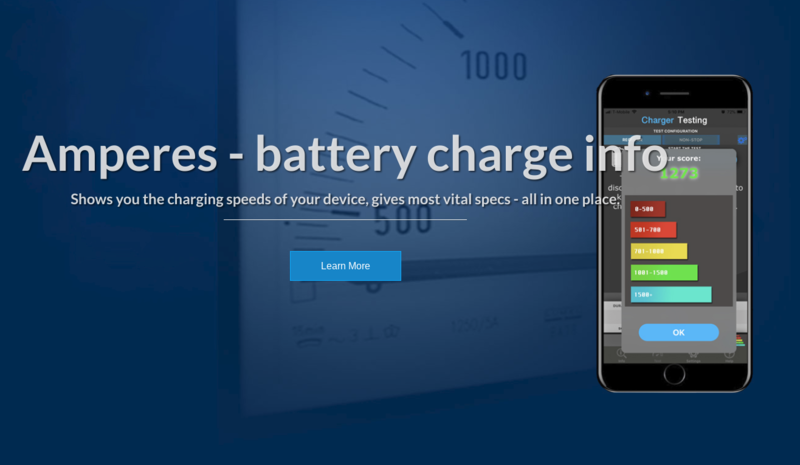 · Fast and easy download on any smartphone or tablet. · Download archive and invoice history always at hand. · Amazing high-quality images from the largest community in stock photography anywhere. We’ve got over 20 million pros creating media you’ll love! · Standard and extended licenses for multiple usages and users. With the Dreamstime stock photography app inspiration is always in your pocket. 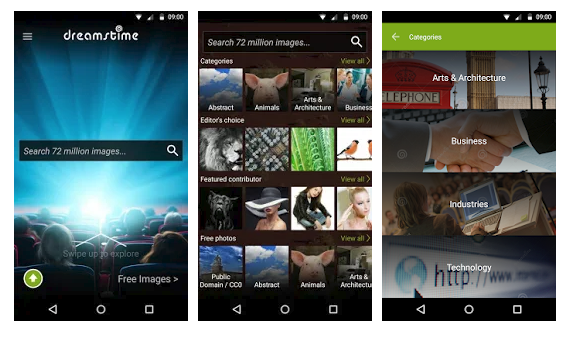 You can easily browse, search, download, and license amazing images from professional creators worldwide directly to your smartphone or tablet. Get started now! Download the Dreamstime app and sign up for a FREE account or sign into your existing account. With Dreamstime creative ideas are now possible anywhere. Amazingly enough, it's reckoned that between 700,000 and 1 million vehicles are stolen every year in the US, depending on which figures you believe. Just think about that figure. To make it easier, we'll do the stats on the lower figure. At 700,000 that's nearly 60,000 per month, close to 14,000 per week or damn near 2,000 vehicles per day. You've got to think that law enforcement is fighting a losing battle with those kinds of figures. Clearly, there just aren't enough police on the streets of America and they need a hand. So, both this reviewer and an enterprising and innovative app developer can see room for some help for them. And that's why we are introducing a new app into the arena called StolenCar today. This new free app for Android and iOS calls itself 'The Nations Neighborhood Watch for Stolen Vehicles' and provides access to a geographically relevant 'hot sheet' of missing or stolen vehicles. It's an all-encompassing and easy to use app. Just take a photo of any suspicious vehicle's license plate and you can check it against the database of stolen vehicles or simply submit it for confirmation through the app. StolenCar will take it from there. Information on a missing vehicle that leads to its recovery will result in a generous cash and non-cash prize being awarded to the information provider. Why Ninjads ? We are a fast-growing buy & sell community. Apart to be modern, catchy and simple to use. We are focusing on customer service, simplifying the buy & sell process and our aim is users to have fun ( extra kick :) to sell and buy stuff while making money :). So what are you waiting for? 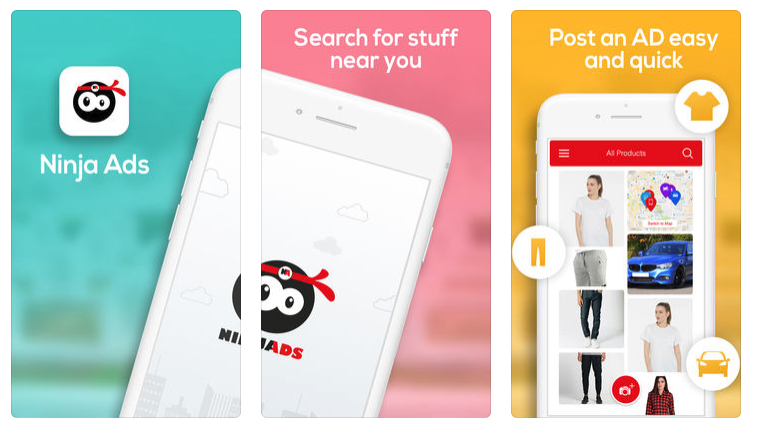 Download our Ninjads App Anywhere in the world and have some Fun while Selling & Browsing Locally. An Uber like App to find cash paying jobs near you, help a neighbor to do everyday house chores and make daily extra cash, same day paid! 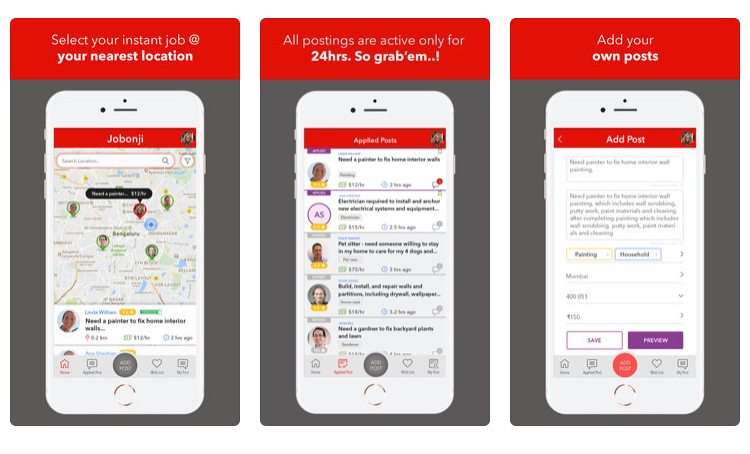 Unlike other App that are focused on skilled or experienced work, there is a big gap today to cater for more than 190 million daily workers in USA alone. These ordinary Joe and Jill, who would like to make extra cash for doing simple house chores such as helping to pick up grocery, make food, do laundry, get the car washed, walk the pet, sit with baby, care for elders, clean up dishes...etc. have no other means today. Jobonji makes it simpler and easy to find daily house chores jobs and make extra cash. I guess it was really only a matter of time before renting audiobooks was an option. It happened many years ago to the music industry before the digital revolution kicked in. Back when that happened though, you had to physically take yourself to a music rental store and hand over your personal details and a small fee to take home your vinyl, cd or cassette tape. At the time, record companies were incensed because renters would generally take their goodies home and copy them so they could 'own' them forever. People's mentality has changed these days though. In the modern world, people just want access to their entertainment rather than physically owning it. With music and films, we've all grown accustomed to streaming rather than buying. With books, the people who want to own them will go out and buy a physical copy of the latest Stephen King or J K Rowling book with its ornate hardback cover. Most of the rest of us just want to listen to a good book in bed at night or in the car or on their commute to work. So it makes good sense to 'borrow' an audiobook for a fraction of the cost of buying it. Have you ever wondered exactly how productive (or unproductive) your day has been? MetaMe can give you insights into your productivity and much more! 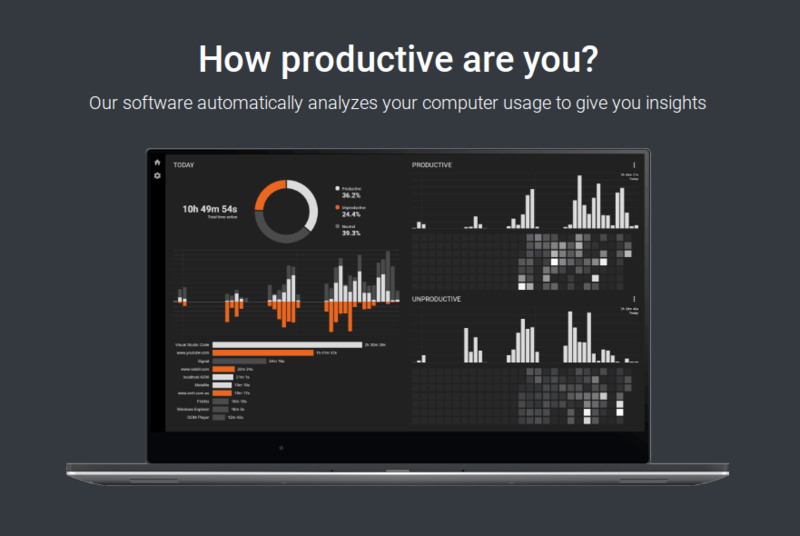 MetaMe works by silently collecting computer usage data in the background while you work, then transforms this data into beautiful and powerful charts on your productivity. Worried about privacy? MetaMe is built from ground up to be private. All your data is saved locally and encrypted so no one except you can view it. 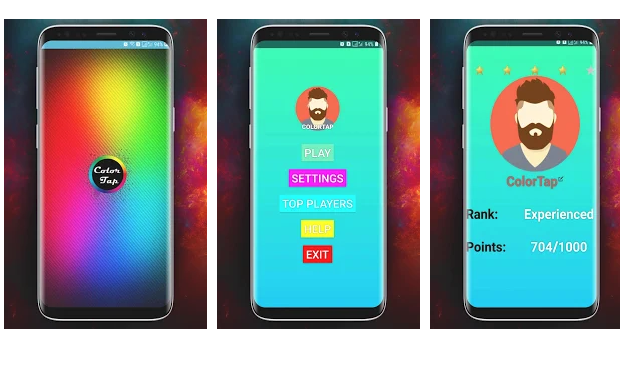 GAME: It's a simple game with 3 buttons. As you gain more XP points, you wiil unlock 5 and 8 button modes. You'll get color name and you have to tap button with that color. Buttons: When you start you only have option to play with 3 buttons. Later on when you play for some time and gain enough XP points you will be able to play Time Attack and Classic mode with 5 or 8 buttons. And when you get to the top you will unlock 8 button hard mode. Time Attack Mode: Timer is set to 30 seconds, and you have to get as many XP points as you can before it reaches 0. One mistake and it's GAME OVER. Classic Mode: In classic mode you start with 3 lives. Color name will change if you're too slow or you tap wrong button you will lose 1 life. In the beginning color name changes every 6 seconds. The longer you play, the faster it will change. 8 Button Hard Mode: You start out with 8 buttons in their usual order, but every 10 seconds they will randomly change places. Same as in classic mode, you have 3 lives, and color name changes but more frequently than in classic mode. Affirmations can be a life-transforming technique for reprogramming your subconscious mind, with endless applications in all areas of your life. Having an affirmation practice consists in writing down personal, carefully worded affirmations that powerfully resonate with you, and repeating them daily over long periods of time. This technique, as simple as it sounds, can have a powerful impact on your daily life, from the way you perceive yourself and the world, to the way you behave and the decisions you make, with potentially massive long-term ramifications. 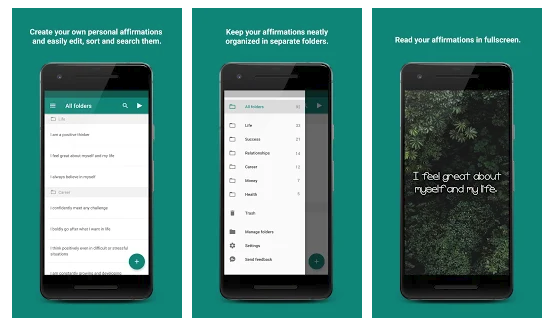 With Affirmations, you can have a dedicated app in which to store all your own personal affirmations, keep them organized in folders and display them in fullscreen with a large font. Editing, sorting and moving affirmations around is easy and intuitive. You can also protect the app with a passcode or fingerprint recognition (on supported devices). 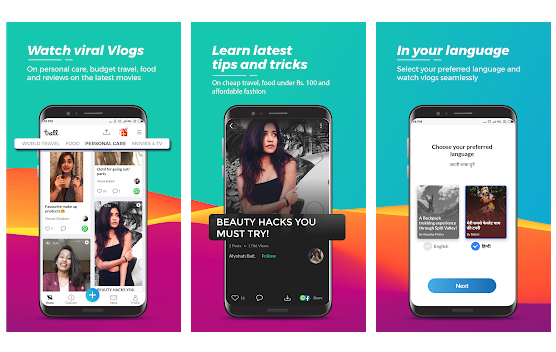 Trell is India’s #1 Hindi & English app to watch and create beautiful vlogs about travel, food, tasty recipes, reviews of the latest movies, health tips and beauty tips. With over 2,000,000+ vlogs to choose from, Trell is your best vlogging app. Create your own vlog from any of your interests in English or Hindi and share them with millions of other like-minded people. 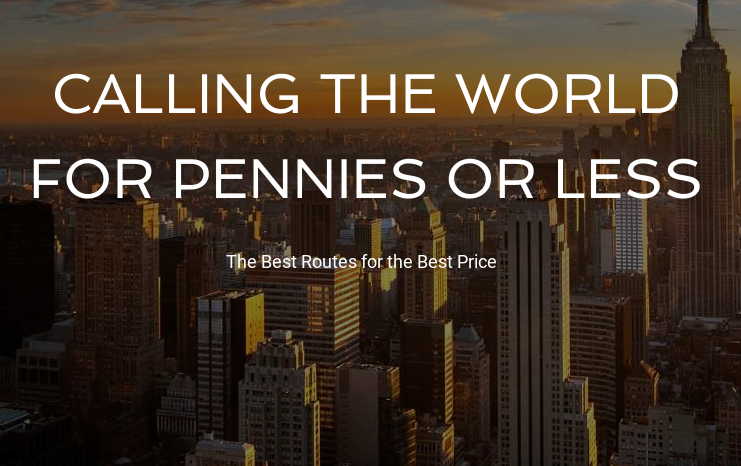 When you create a communication app with an aim to save customers money on overseas phone calls and you stick on a tagline that says that you 'want to be the cheapest calling app' you know that you've got a lot to live up to. The truth is, there are a squillion apps out there that all claim to be the cheapest on the market. However, when one does come along with that tagline and you find out that the developer has been working at Telecom for over fifteen years and has contacts galore all around the globe, it might be time to sit up and take a little more notice. The curiously named Phoober is a VOIP and communications app for Android that finds the best and cheapest routes to long distance destinations around the world to enable the cheapest and most reliable international phone calls from local and international vendors. It works a little differently to most other long distance phone apps in that it will give you a whole selection of international phone routes to choose from. Some will be the absolute cheapest. Some will have the most reliable connections. Some will be a mixture of the two and others will be both. The bottom line isyou get to choose which one.